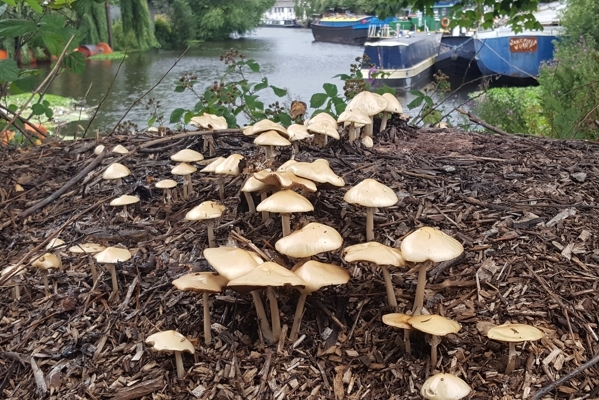 I was walking by the River Calder, near the Hepworth Gallery, when I spotted a mass of fungi on a pile of woodchips. 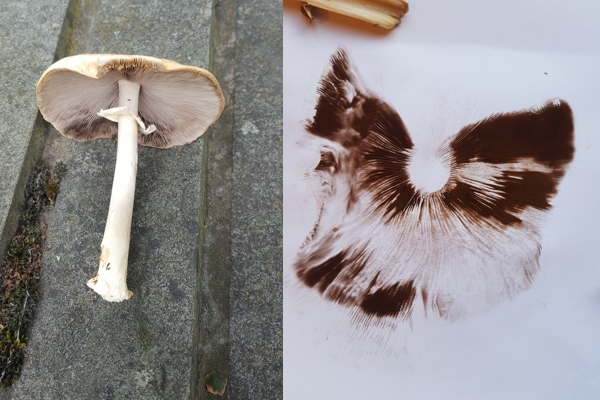 I did my best to identify them using books but again needed the help of the British Mycological Society and I found that they are Agrocybe rivulosa. 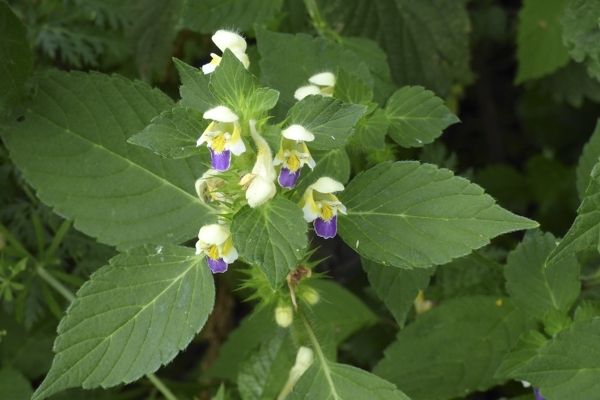 This species arrived in the UK just over a decade ago and has probably been encouraged to spread by the increasing use of bark and woodchip mulches. It is now common and widespread in Britain. 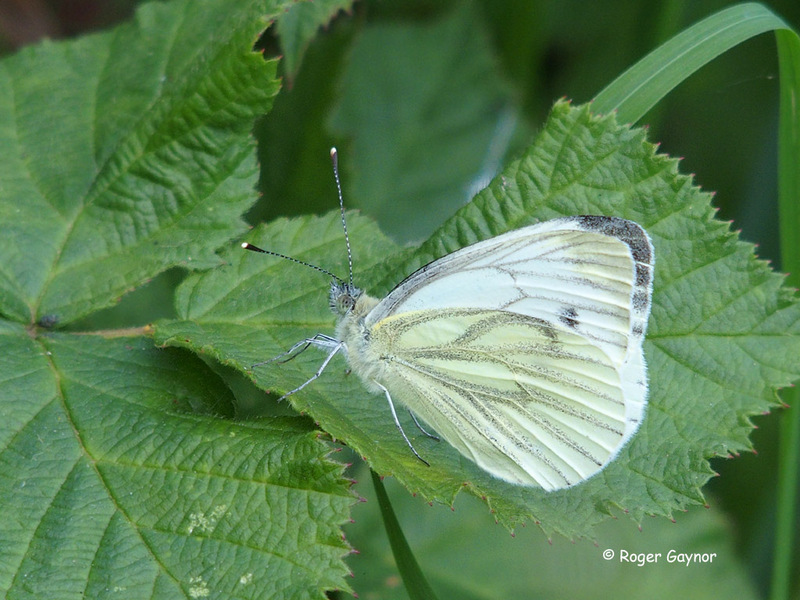 A common name used for this species is wrinkled fieldcap. After a train journey from the south of England, I stretched my legs by walking back to Hemsworth, from Fitzwilliam, using the scenic route. 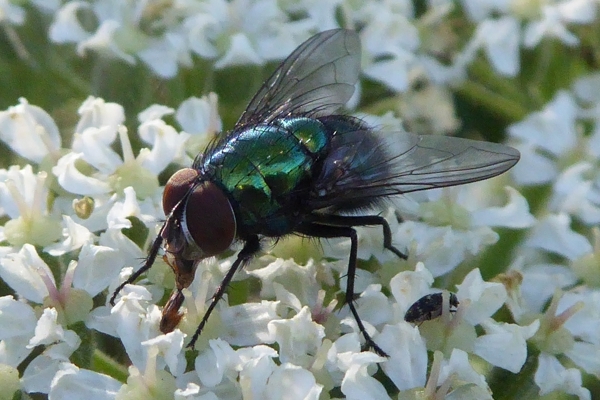 By the path, I found common green bottles feeding on hogweed and they were very striking when looked at closely. 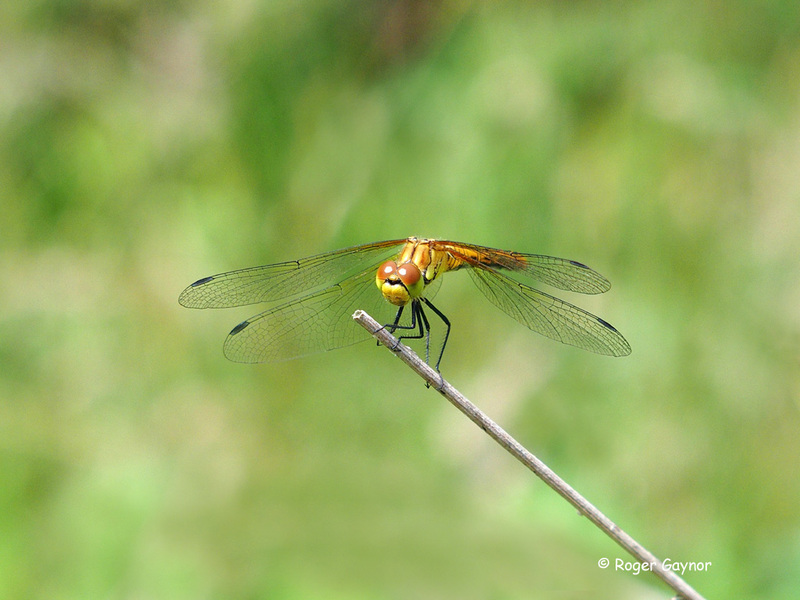 This species is one whose maggots can be used to clean wounds very effectively. They will eat dead tissue whilst leaving living tissue alone. 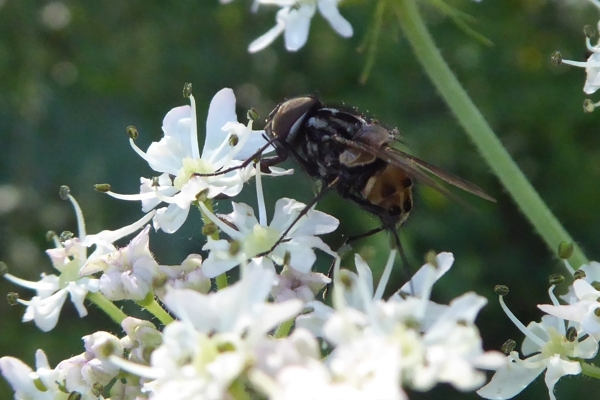 I identified another very striking fly that I saw as Graphomya maculata, also feeding on hogweed. 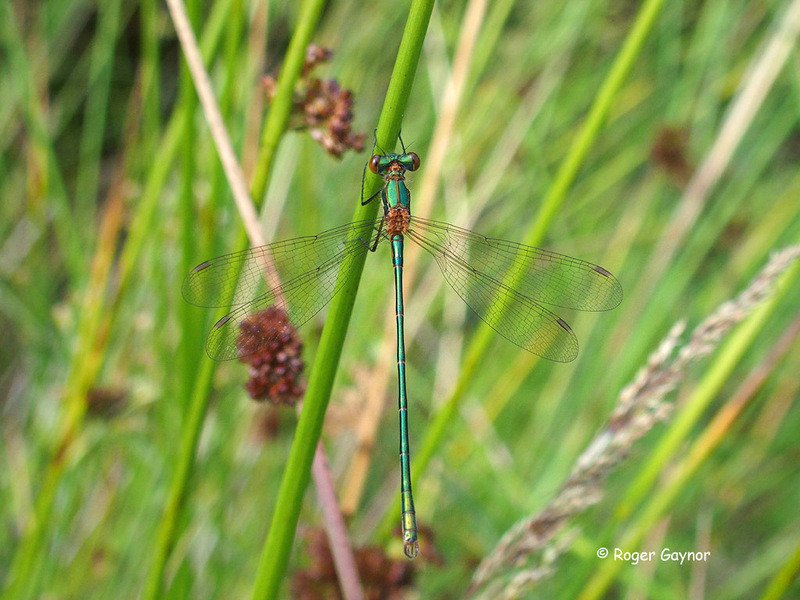 It’s said to be found in damp areas and these were photographed on the edge of marshy ground. 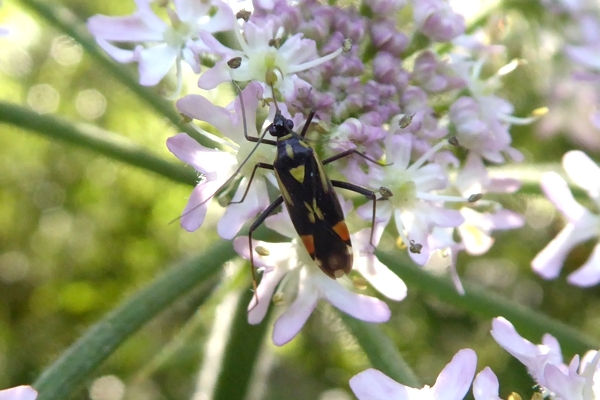 Also on the hogweed, I found a true bug that I believe to be Grypocorus stysi. 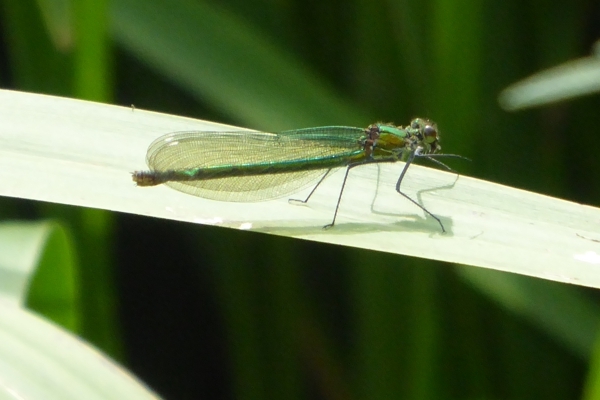 This species is said to feed on both flowers and small invertebrates such as aphids. 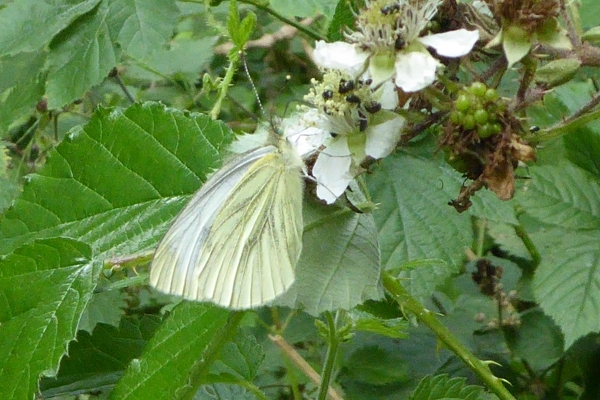 Colin Booker and I took a trip to Brockadale yesterday, with the expectation of seeing lots of butterflies. 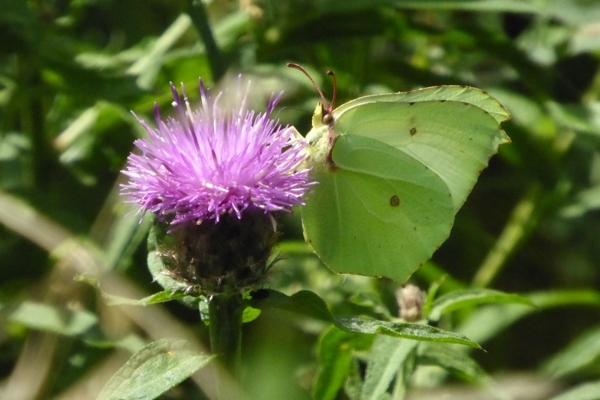 However, we found very few flowers on the knapweed and this was one reason why butterfly numbers were low. 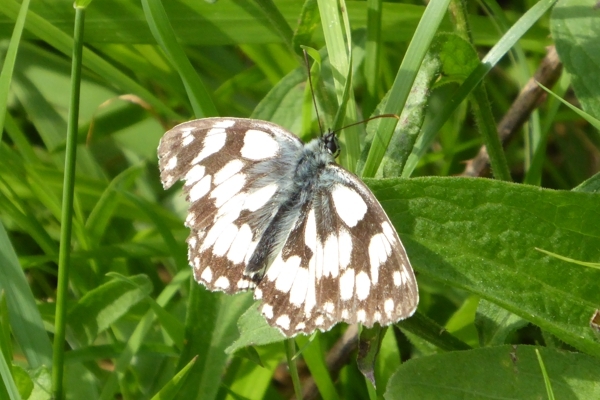 We saw a few marbled white and a single dark green fritillary. 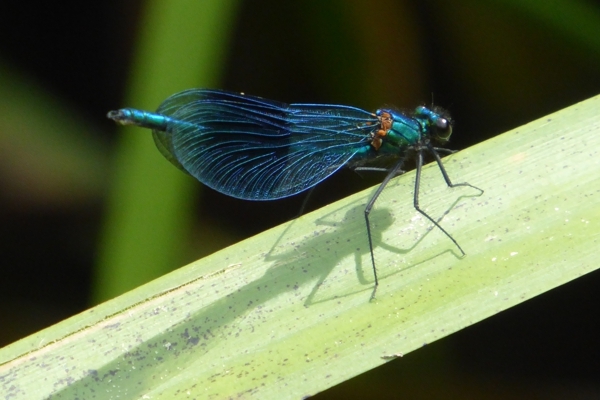 A highlight was the sight of banded demoiselles flitting around by the river. 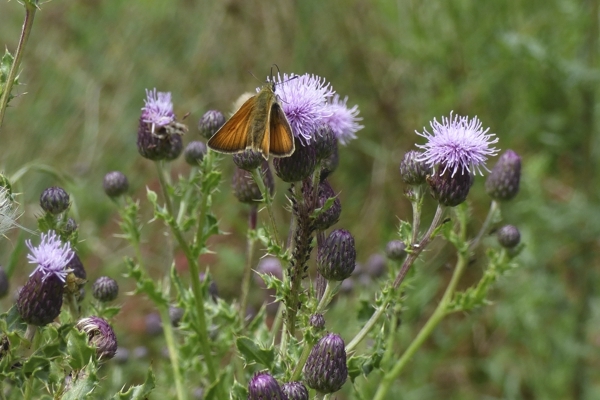 The demoiselles are found at the foot of the field in which musk thistle is often to be found. 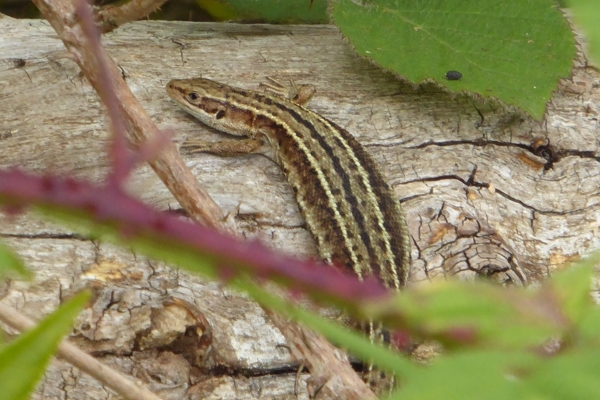 Although it wasn’t especially sunny, we saw at least five common lizards basking on logs. One lizard looked quite plump. 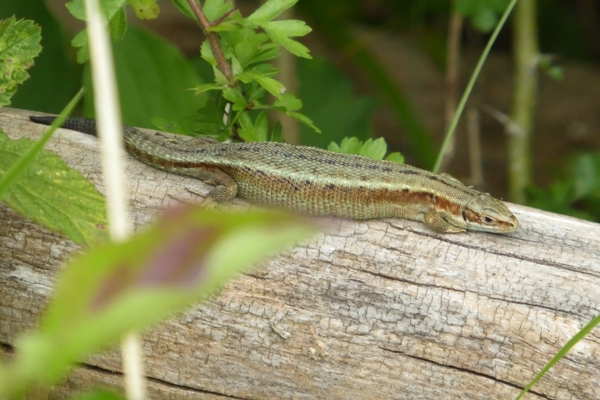 Common lizards(Zootoca vivipara) are viviparous, i.e. they give birth to live young. 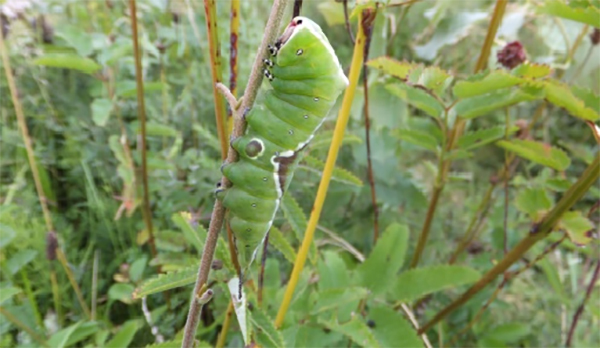 This typically happens in July, so there is a good chance that the plump lizard was pregnant. Unfortunately, one of this year’s young peregrines died earlier this week following a collision with a building. 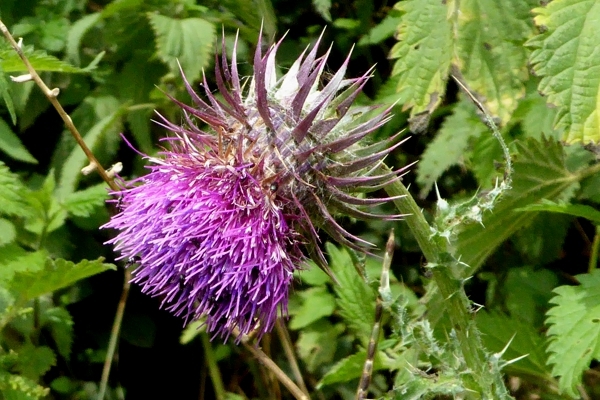 The female PCA was found near Sainsburys, Ings Road and was cared for by Jean Thorpe, of Ryedale Wildlife Rehabilitation. 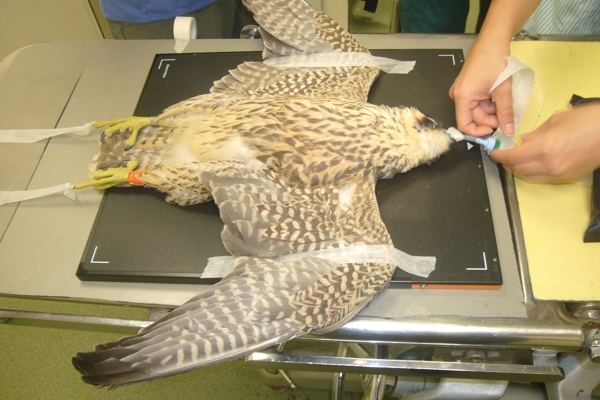 PCA was examined by Mark Naguib, a vet who has lots of experience in dealing with raptors. 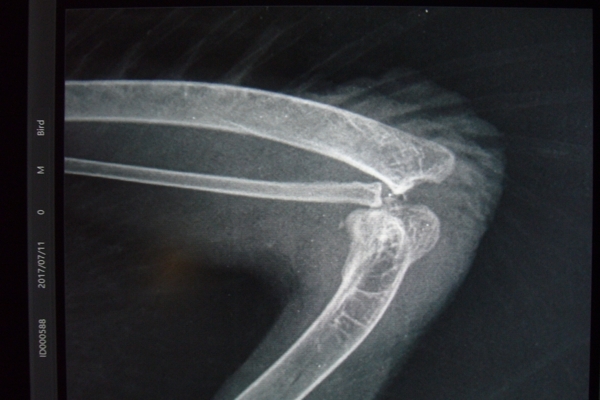 Mark found that the bird had dislocated an elbow joint at least 24 hours earlier. 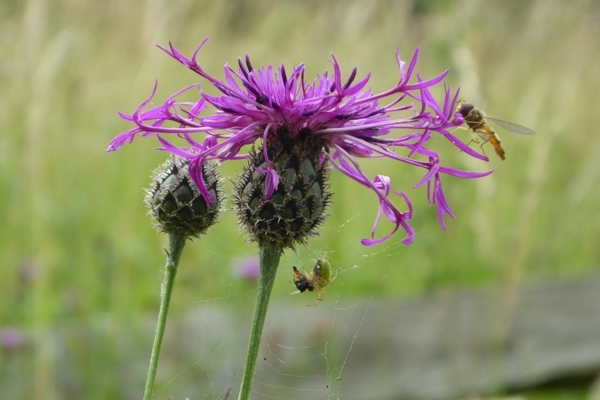 He tried to put the bones back into place but this proved to be impossible and the decision was taken to end the bird’s life whilst it was still under the anaesthetic. The decision was not an easy one but it was based on the fact that peregrines rely so heavily on the use of their wings to hunt their prey. PCA would never again have been able to live freely and to hunt as a peregrine should. We are grateful to Jean and Mark for the time and effort that they have given to caring for PCA. It’s always sad to hear of the death of a peregrine but we must stand back and look at the whole picture. The Wakefield peregrines have now fledged ten young. We know of four deaths, all caused by collisions, and this means that there are, potentially, six new peregrines out there somewhere. If fifty percent of young peregrines survive the first year, that should be considered to be a good result. In their lifetimes, our two adults need to produce only two new peregrines that go on to breed successfully to replace themselves. I think there is a good chance that they have succeeded in that task. 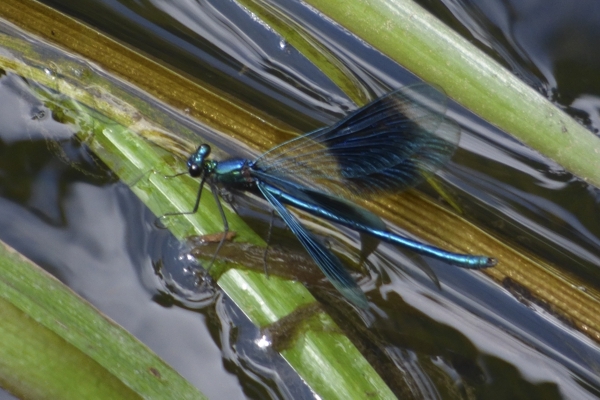 Colin Booker and I visited Carlton Marsh nature reserve today. 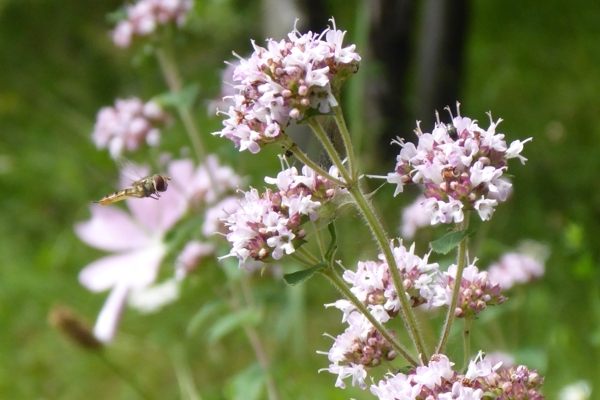 It was my first visit and I was impressed by the range of things to be seen. 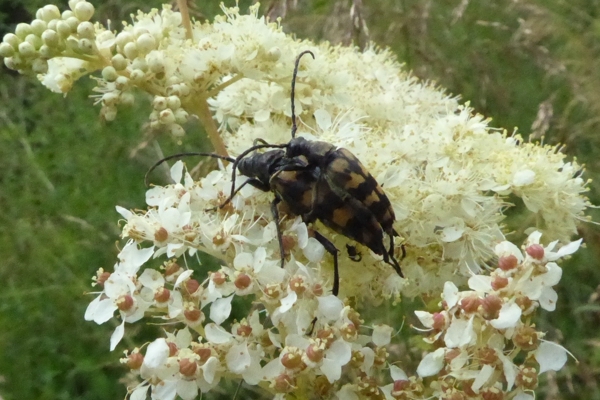 Early in the walk, we found a golden-bloomed grey longhorn beetle – minus one horn (antenna) – on hogweed. 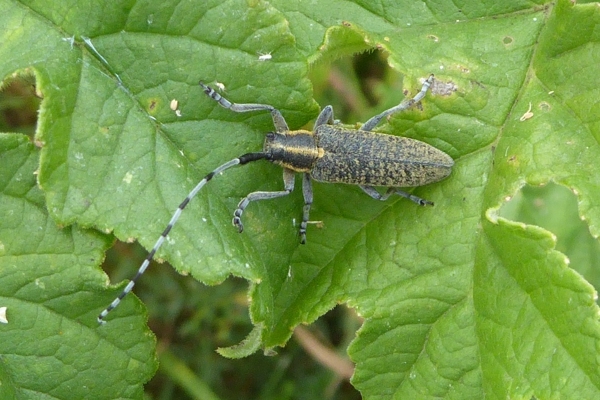 This is the second species of longhorn beetle that I have seen in one week and it may be an indication of how these species are expanding their ranges northwards. 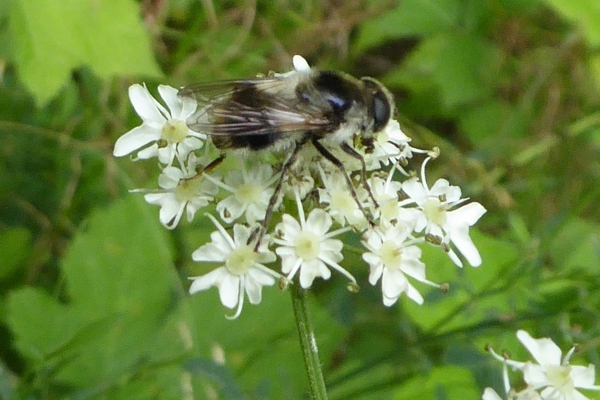 Another insect seen was a large hoverfly, for which my suggested identification is Cheilosia illustrata. 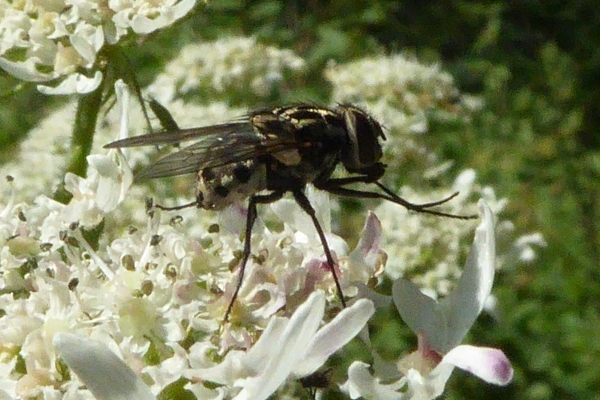 We also spotted a fly, on the underside of a leaf, which had been infected by an Entomophthora fungus. 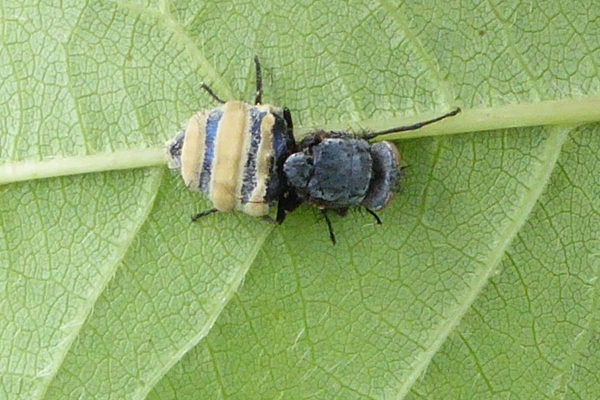 This fungus causes the fly to change its behaviour so that it walks up a plant. 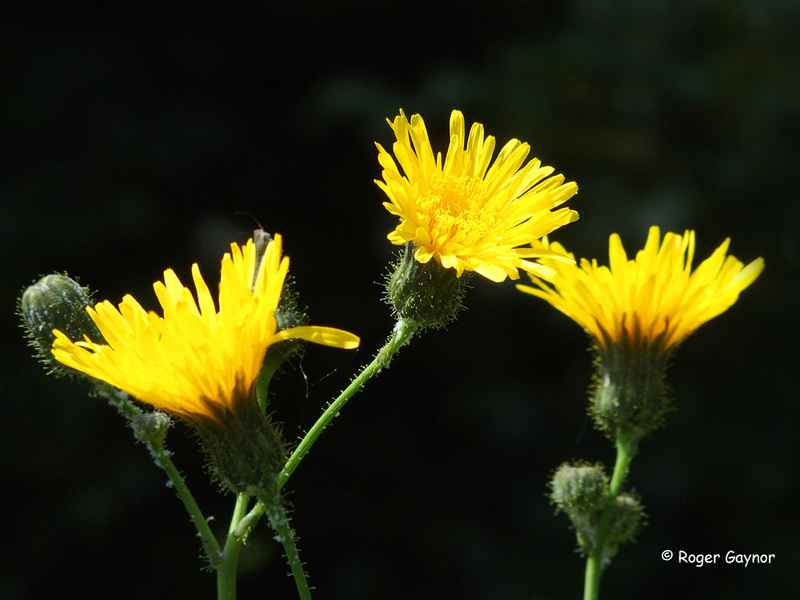 It then dies but it doesn’t fall from the plant because fungal hyphae grow from its feet to attach it to the plant. 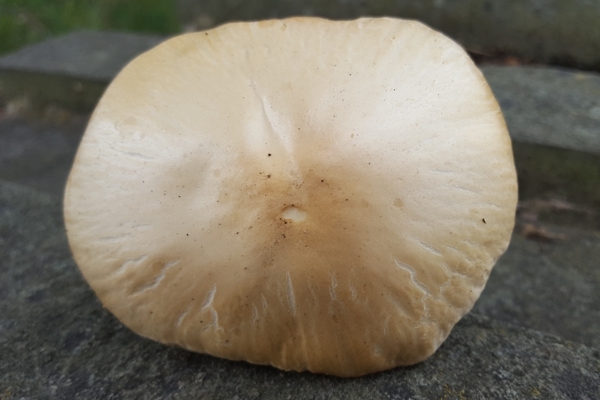 Spores of the fungus are then carried away on the breeze. 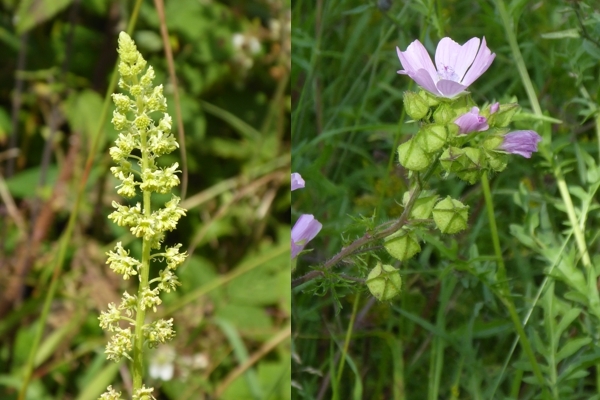 There was a wide range of plant species to be seen. 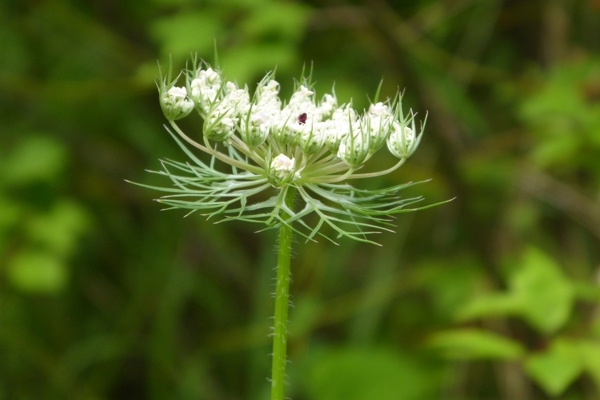 Wild carrot is a common plant but the flower head is very attractive when viewed closely.